Here's the Olympics action you might've missed on Saturday. The 2018 Winter Olympics come to an end on Sunday with the closing ceremony. But events continued on Saturday with finals, and history-making victories, in several events. Team USA even added another gold medal to its collection. 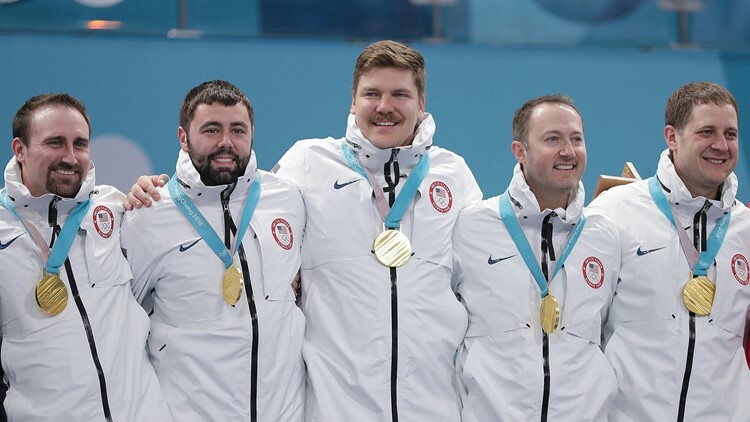 The U.S. men’s curling team, practically an afterthought in this event, won one of the unlikeliest gold medals in Winter Games history, knocking off powerhouse Sweden 10-7. The USA was on the verge of elimination during round robin play. But they won five straight games including twice over Canada, which had won three consecutive gold medals, and Sweden, whose skip Niklas Edin is the No. 1 ranked player in the world. Against the Swedes, the USA broke a tie with a massive double-knockout in the eighth end, scoring five points to take a 10-5 lead, which effectively ended the game. The men later were accidentally presented with medals stamped out for the women's winners before they were swapped out for the correct ones. Just about every medalist from the 2018 Olympic Games performed during the figure skating exhibition gala, an un-scored event in which skaters can just have fun. 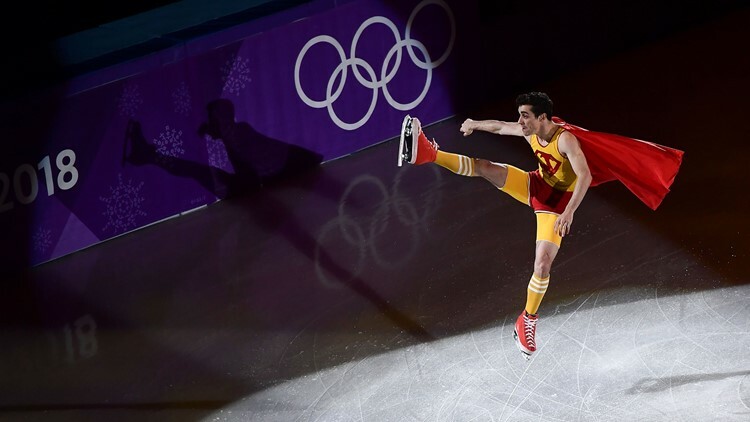 South Korean pairs skaters Yura Min and Alex Gamelin opened the gala with a flashy, colorful hip-hop program to "Lollipop" — and tossed candy into the crowd. Gold medal winner Alina Zagitova performed to the jazz standard "Afro Blue" by American singer Jazzmeia Horn. Canadians Tessa Virtue and Scott Moir skated a heartfelt routine to the song "Long Time Running" by Canadian rock band The Tragically Hip. 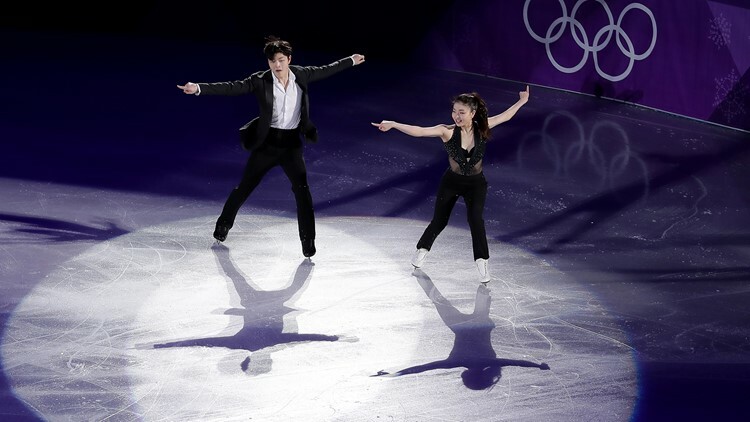 Team USA was represented by bronze medalists Alex and Maia Shibutani, who skated to a mashup of Jay-Z and Frank Sinatra. Nathan Chen was invited to perform after his record-breaking skate in the men's free program, but he was forced to withdraw after coming down with the flu. Chen's fellow teammates Adam Rippon and Mirai Nagasu did not receive invitations. Francesco Friedrich finished off the sweep for the Germans, driving his four-man sled to victory in the final days of the games. Won Yunjong of South Korea and Nico Walther of Germany tied for second and shared the silver. The top U.S. driver was Codie Bascue, who placed ninth on a day where Ivanka Trump was among those in the crowd watching the last sliding event. Becoming the first Olympian to win gold medals in Alpine skiing and snowboarding, Ester Ledecka of the Czech Republic on Saturday defied skeptics at the 2018 Winter Olympics by trusting herself. “I was dreaming about this moment since I was a little child, and really since I was 5 years old I was thinking about to get an Olympics and win golds,’’ Ledecka, 22, said after winning the women’s Parallel Giant Slalom in snowboarding a week after her stunning victory in the women’s Alpine skiing Super-G. In defense of those who doubted Ledecka, no one had even attempted to compete in both sports at the Olympics, much less set out to win gold medals. Gold medallist Czech Republic's Ester Ledecka celebrates on the podium during the victory ceremony for the women's snowboard parallel giant slalom event during the Pyeongchang 2018 Winter Olympic Games on February 24, 2018. 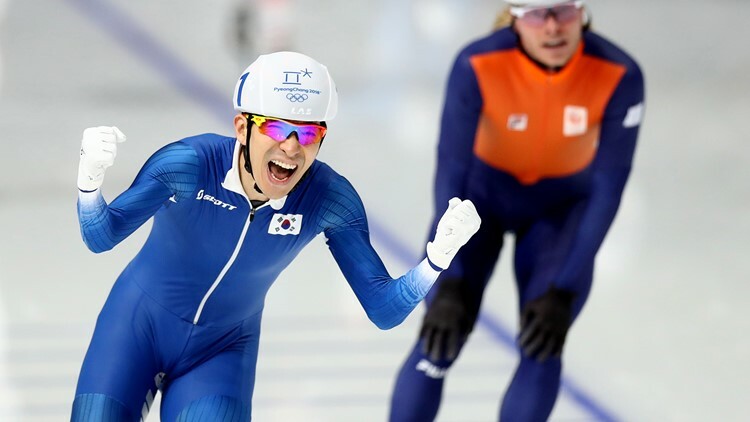 Top favorite Lee Seung-hoon skated a masterful race and unleashed a final sprint that no one could match to take gold for South Korea in the men's mass start. It was the mass start event's Olympics debut, and Lee was thrilled to win in front of his home crowd. "It's the first competition and at home," Lee said after crying on the medal stand, according to the Associated Press. "It's been a long-time dream for me and unbelievable." Kim Bo-reum added a silver for South Korea in the women's race. The Americans did not medal. Seung-Hoon Lee of Korea celebrates winning the gold medal as Koen Verweij of Netherlands takes the bronze during the Men's Speed Skating Mass Start Final during the Winter Olympic Games on February 24, 2018. 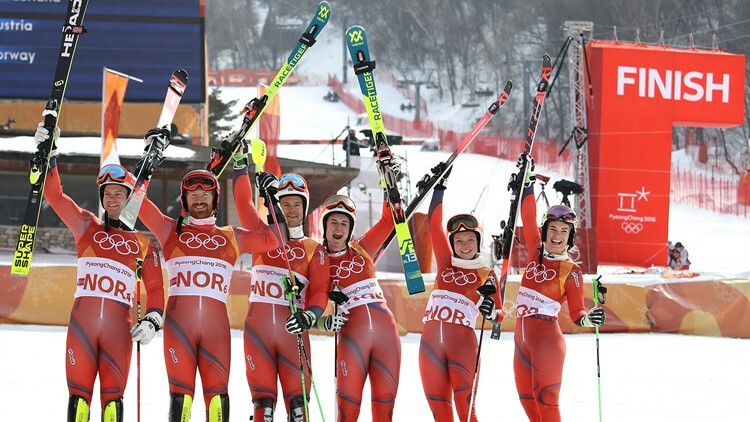 Day 15 was a record-setting day for Norway, which took bronze in the new Alpine skiing team event to tally its 38th medal in Pyeongchang — a Winter Olympics record. Bronze medallists Norway with Jonathan Nordbotten, Leif Kristian Nestvold-Haugen, Sebastian Foss-Solevaag, Maren Skjoeld, Kristin Lysdahl and Nina Haver-Loeseth celebrate during the victory ceremony for the Alpine Team final on February 24, 2018.